The newly formed state in India, Telangana is nowhere deprived of alluring beauties. Be it regarding historical places or any natural marvel, Telangana leaves behind several states in the race of tourism. Hyderabad, being the capital city and one of the oldest places, is the most visited city in Telangana. However, there are several places around Hyderabad which are yet left to be explored properly. Once such place is Ananthagiri Hills, the enthralling hill station with dense forests, ancient caves and certain temples. Wouldn't you love to explore this unexplored marvel of nature? 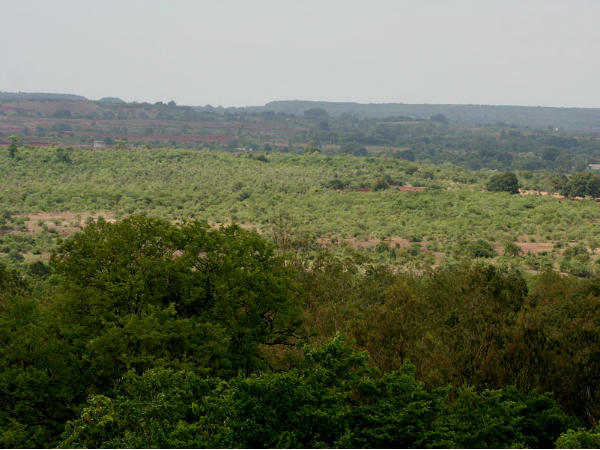 Read on to know more about Ananthagiri Hills. Located in the Vikarabad district and at a distance of around 80 km from Hyderabad, Ananthagiri Hills is a small hill station tucked away in the dense forests of Telangana. It is popular for its rich plains and scenic beauty amongst offbeat travellers. Being the land of dense forests and towering hills, it also offers several opportunities for camping and trekking in and around the region. Ananthagiri Hills is the origin of Mushi river, which is a tributary of Krishna river and passes through Hyderabad. As per local legends, it is said that Ananthagiri Hills is one of the oldest-inhabited places in Telangana and the presence of several ruined ancient caves and monuments certainly showcases its age. If you are looking to escape the congestion in your life and get lost in verdant hills and plains, then Ananthagiri Hills is the perfect place to enjoy a weekend. Ananthagiri is not only famous for its lush green environment, which attracts several nature lovers and photographers; it is immensely popular amongst locals too for Ananthagiri Temple, after which this hill station is named. This ancient temple is dedicated to Lord Vishnu and is believed to be worshipped since the time of Lord Krishna. Apart from this temple, the other places to visit include Nagasamudram Lake, which is a reservoir and is located in the close proximity of Ananthagiri Temple. You can also go trekking and camping at Ananthagiri Hills due to the presence of several trekking trails and squashy grassland. Do not forget to bring your camera if you are planning to take home a few everlasting memories. Ananthagiri Hills is a year-round destination for trekkers. However, it remains less crowded with nature lovers during the summer season as the temperature here rises above the average level. If you are looking forward to enjoying the surroundings of Ananthagiri Hills comfortably, then the best time is from October until the end of April. By Air: The nearest airport from Ananthagiri Hills is at Hyderabad at a distance of about 80 km. Once you have reached the airport, you can hire a cab to Ananthagiri Hills. By Rail: You can catch a direct train to Vikarabad, where Ananthagiri Hills is located. After reaching Vikarabad railway station, you can take a cab to Ananthagiri Hills which is at a distance of just 6 km. By Road: Located at a distance of around 80 km from Hyderabad, Ananthagiri Hills is easily accessible by road.